Enjoy a Pre-fixed lunch for $19.00 at this friendly Italian restaurant in the Chelsea area of Manhattan. 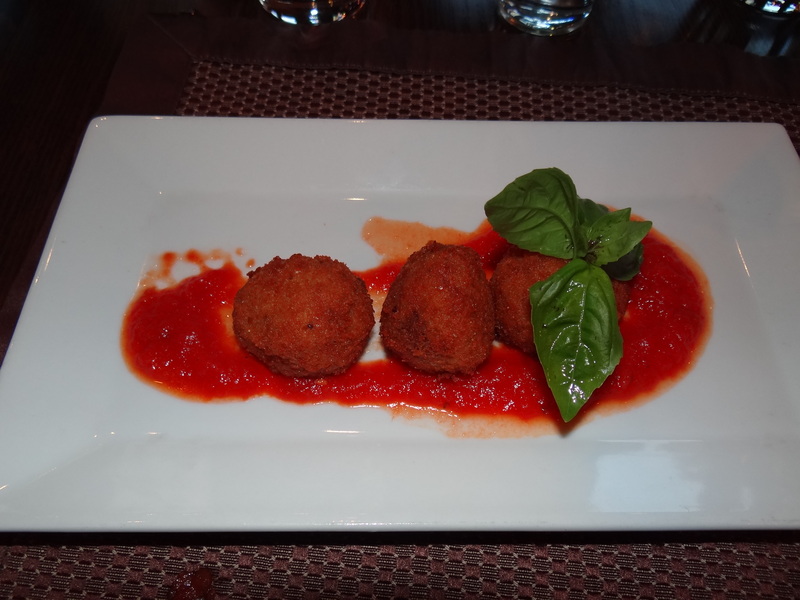 Start with the Arancini (rice balls) – rice, meat, cheese, Heaven! The crunch on the outside of the rice ball is what every lover of fried food desires. The Tagliatelle with Cherry Tomatoes & Tomato – Basil Pesto is refreshingly delicious. You can actually taste the freshness of the pasta. The Orecchiette with Short Rib Ragù is sure to please the pickiest eater. For dessert, enjoy their Cannoli with Ricotta, Chocolate, Pistachios & Candied Orange. I had a glass of chardonnay to wash down my worries, and I was good to go. Eolo is a nice place for family and friends. The restaurant is calm, so it is a great place for a first date. The prices are reasonable and the food is good. If you’re in the area, check it out.